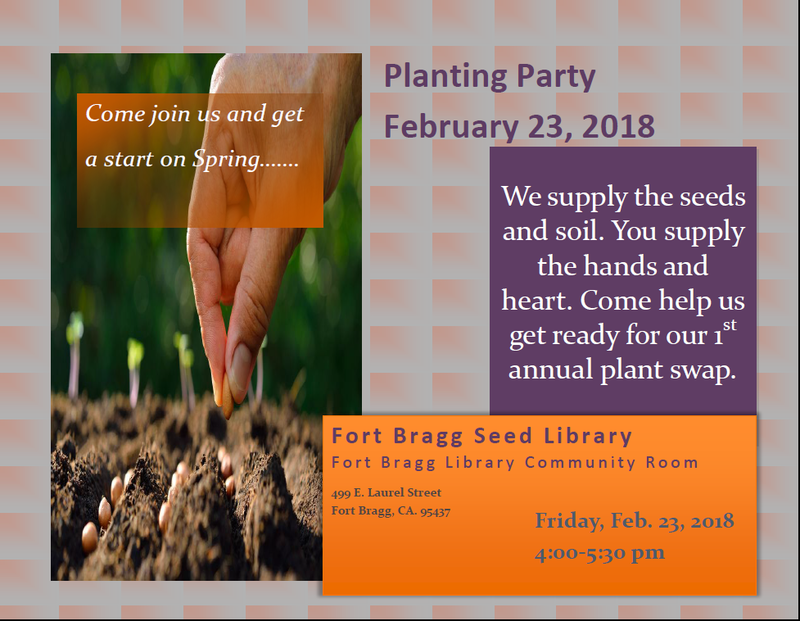 Check back often for Seed Library Events as we add new information frequently. 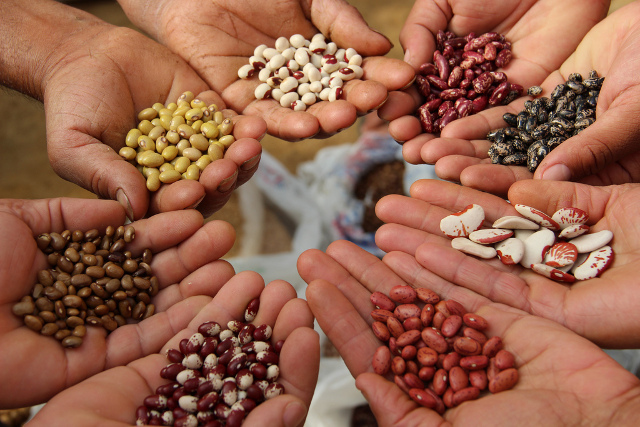 Watch for flyers on our Seed Collecting 101 class coming in September 2018. 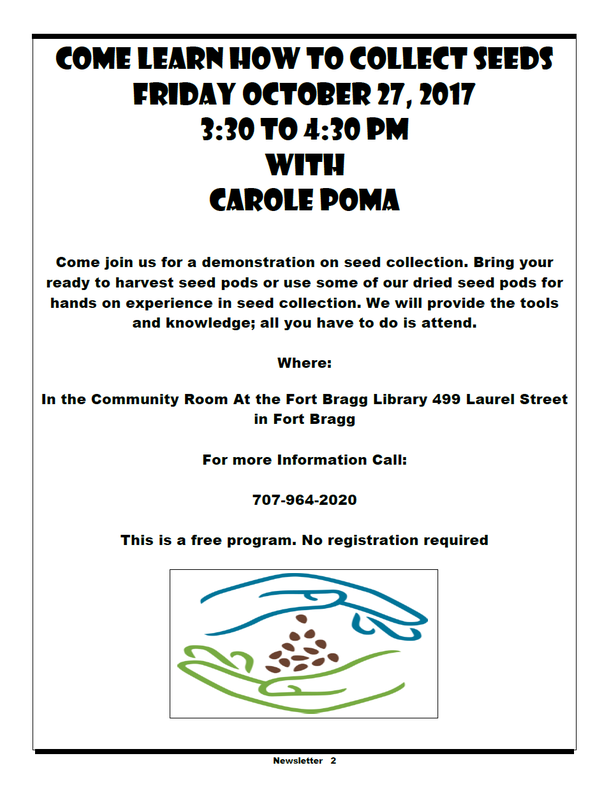 This will be a “hands on” class for those who have never collected seed and would like some practical experience before going it alone. 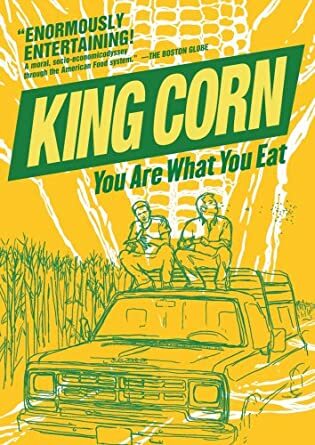 Katy Pye is an award-winning, local author who retired from resource conservation work in 2000, and moved from the Sacramento Valley to South Caspar in 2005. Her understanding of the relationships between plants and wildlife began in the ‘90s when she ran the Yolo County Resource Conservation District. It aimed to teach farmers and ranchers how to use wildlife habitat on their lands as a less expensive, more balanced way to control pests, weeds, and erosion, while increasing overall wildlife biodiversity. 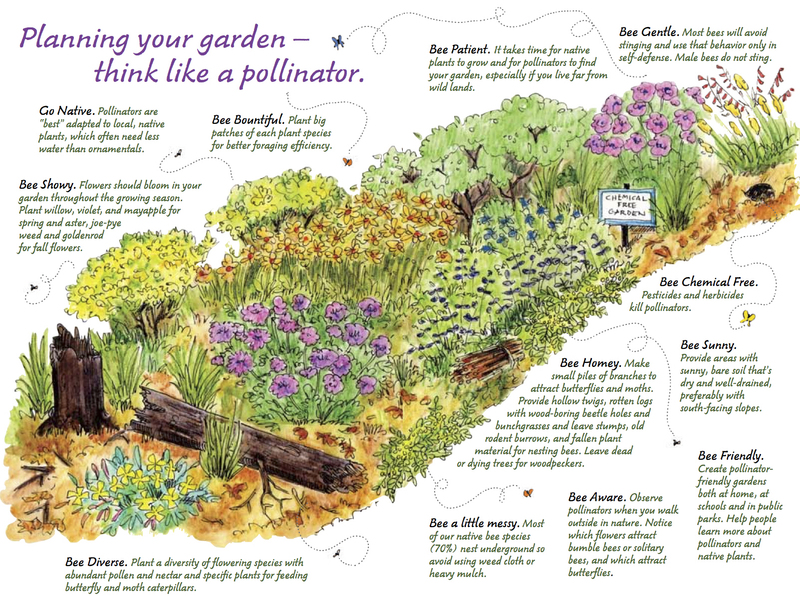 However, her current book project based on how to track the pollinators using your garden, then adjusting your plantings to serve them, required her to get much closer and more personal with what she grows and why. Katy’s presentation will share a small bit of her year-long process of discovery in and out of the garden. The Mendocino County Seed Librarians Hit the Road! 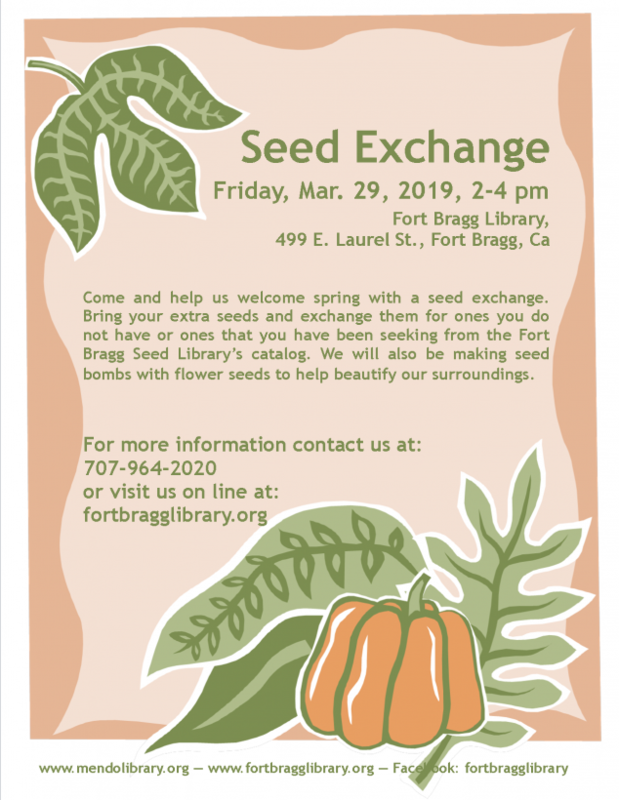 Visit the Mendocino County Seed Library table for Free seeds, Free gardening books, Free garden advice, and Raffle for Special Prizes! 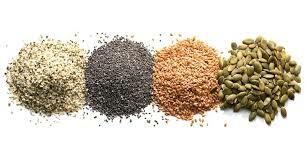 Not sure how to collect seeds? 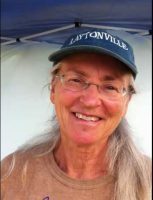 Jamie Chevalier of Bountiful Gardens will teach us about different methods of growing plants for optimal seed collecting, what to do to protect the plants from cross contamination and how to collect seed for use in the future. Join the discussion, Friday, June 2, 2017, 4-6 pm at Fort Bragg Library. 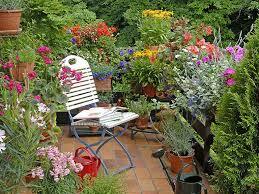 Jamie Chevalier spent 25 years gardening in coastal Alaska before returning in 2000 to her home in California. Jamie has worked at homesteading, landscape design, maintaining large public gardens and small-scale seed production. Currently, Jamie is working at Bountiful Gardens Seed Company, growing heirloom seeds, writing the seed catalog and maintaining the Bountiful Gardens website. 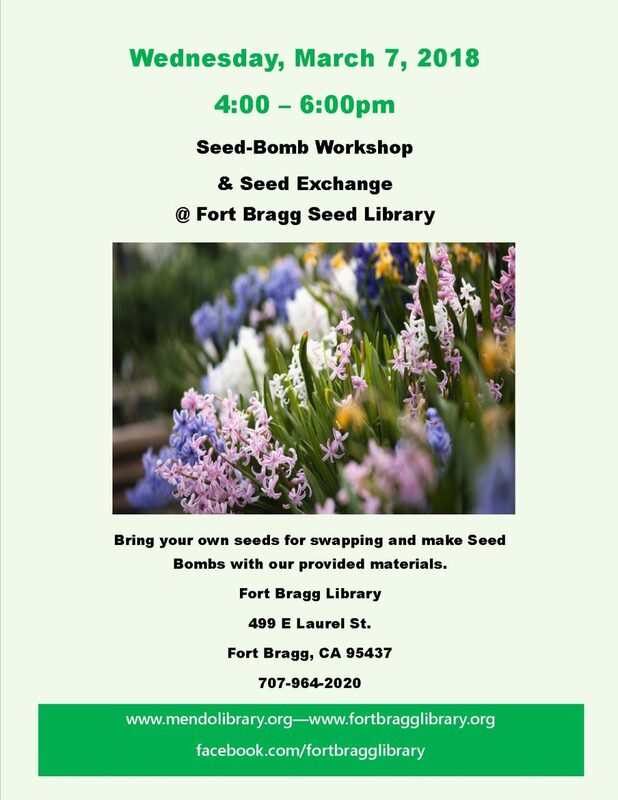 Jamie’s appearance is sponsored by Book to Action, Friends of the Fort Bragg Library and the Fort Bragg Seed Library. 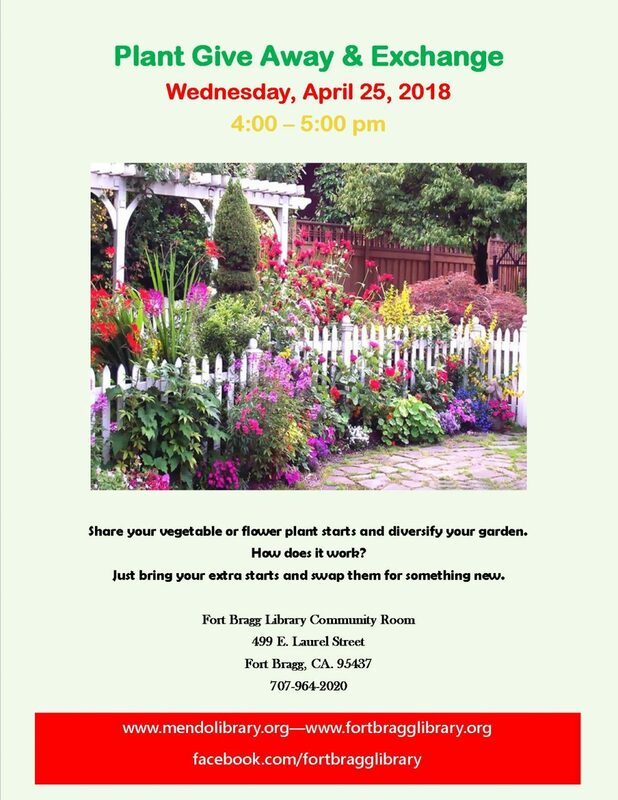 Gina is the owner of Open Circle Seeds and will be teaching us how to save seeds and how to plant our gardens.